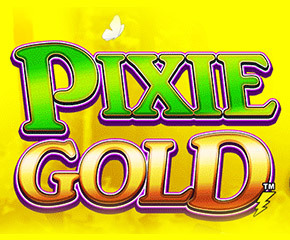 Try a bit of pixie dust to get hold of some Pixie Gold in this slot game as you try to get the prize win while you play an odd shaped set of reels. This game may be low on features but is certainly great to look at and play. 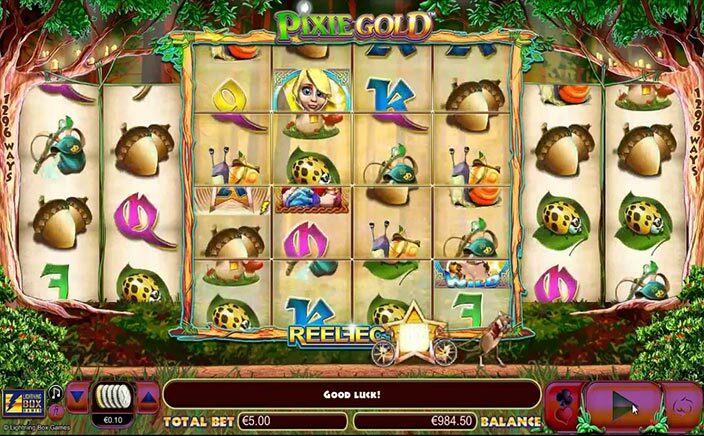 Pixie Gold is another great online slot game from the house of NextGen and has some great graphics to boot. The game is extremely entertaining to play on the mobile phone, which is the way you want to really enjoy this slot game. Pixie Gold has a very interesting reel arrangement that changes your odds slightly compared to other online slot games. There are four reels in the centre, which somehow all count as a single reel, and this is flanked by two reels on either side. As a result of this, you have 1296 ways to win the game and this whole arrangement is called the Reelfecta approach. This gives way to a chance to make a three of a kind win and you can get more of these sort of wins as you play. The game has the theme of a little fairy land so you feel like you are in a Disney movie. The cute little background music will also make you feel like a little child once again. You can start playing by betting a minimum deposit or more on a spin and then spinning the reels to see if you can get lucky on this slightly odd reel set. Wild Substitution: The pixie is the wild symbol in Pixie Gold and she shows up in the centre reel only. If you see her on there, you can get to make a complete payline so that you can win yourself a good payout. Pixie Free Spin: there’s a mouse with a wheelbarrow that appears at the bottom of the reels, and it moves with each spin. You can win a free spin only if the King Star symbol appears above this mouse. This is the only free spin that the game offers you. While that may sound like a bad thing, it isn’t really mainly because the pixie wild can now appear on reel 2 as well instead of only on the centre four reels. With a gentle smattering of bonus features, Pixie Gold may make you feel like you are left watching only the fairy story without the happy ending, but all is not quite lost. You can keep playing those spins until you get your pixie to give you some magical wins as you play.